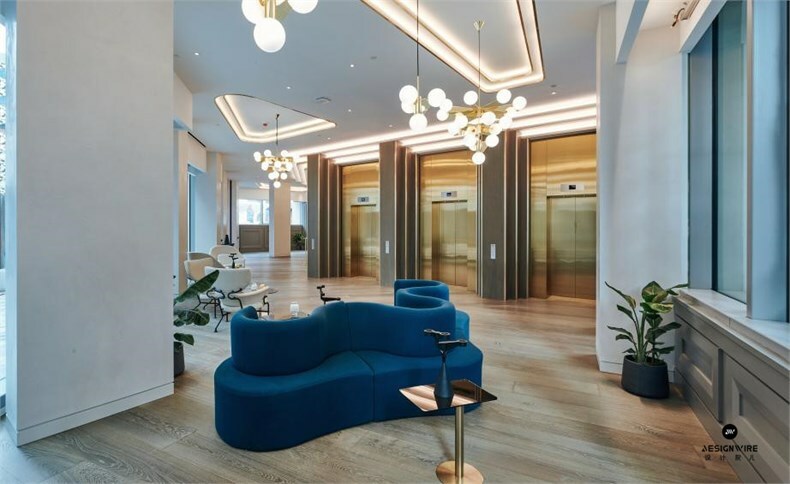 New neighbourhoods are emerging at Greenwich Peninsula, the 150-acre development in south-east London, transforming this part of the British capital into a new vibrant mixed-use district. So, it seems fitting that this kind of pioneering placemaking should feature a key ‘first’ among its offerings. ‘Renew’, the new spa space located at No. 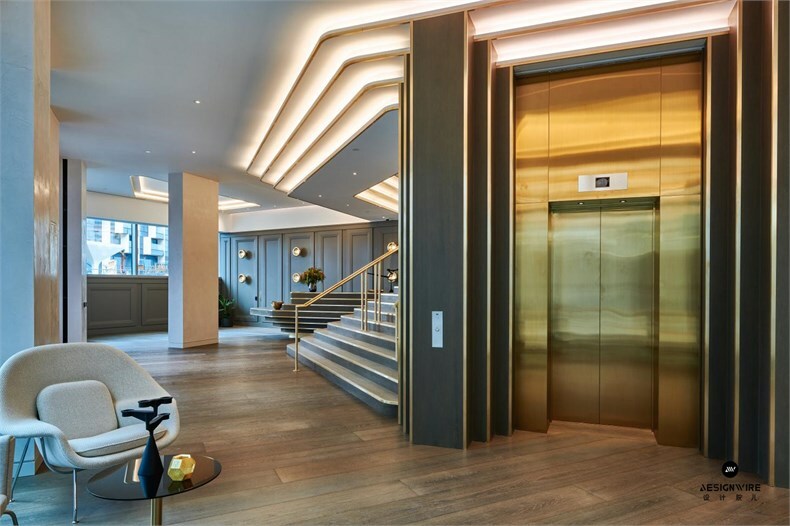 2 Upper Riverside, showcases Tom Dixon’s interior design debut within a residential context. 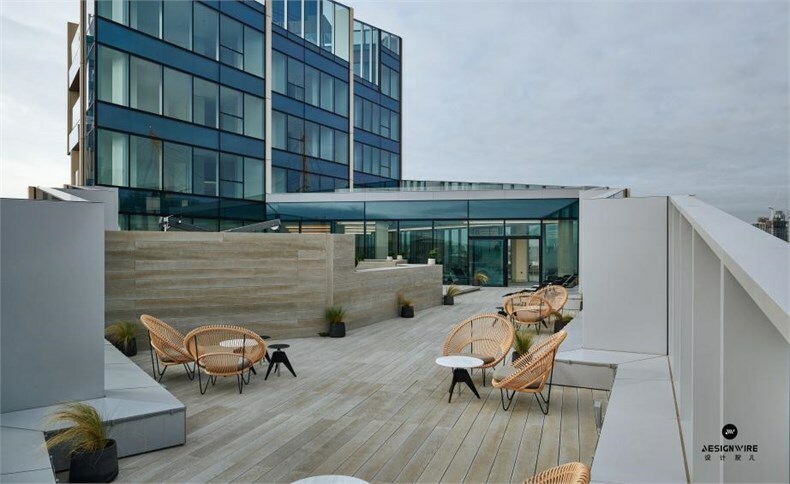 The spa sits on the rooftop of the second of Upper Riverside’s five residential buildings – which also feature striking loft-like domestic interiors by Dixon. 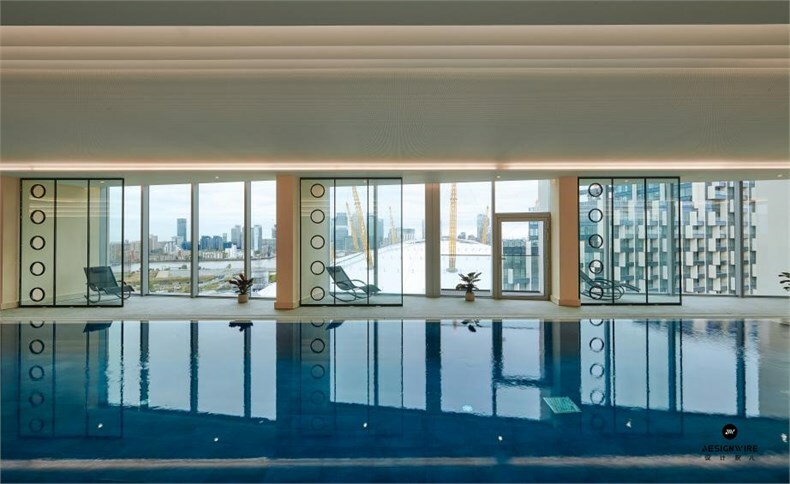 It includes a pool, steam room, two state-of-the-art gyms and a terrace for exercising, or sitting back to relax, meditate and reflect, while taking in the long views of the London skyline beyond. Dixon drew inspiration from raw and industrial materials, which he masterfully juxtaposed with warm timber and colour accents. 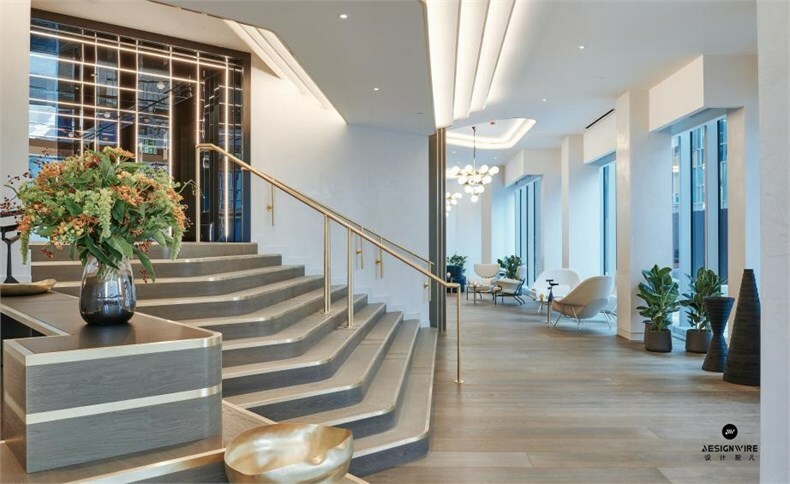 Focal points add playfulness and include a passivated metal reception desk created through the chemical process of electroplating. The robust materials hint to British craft and the history of the area with stone and metal present, the latter in features such as blackened steel doors. 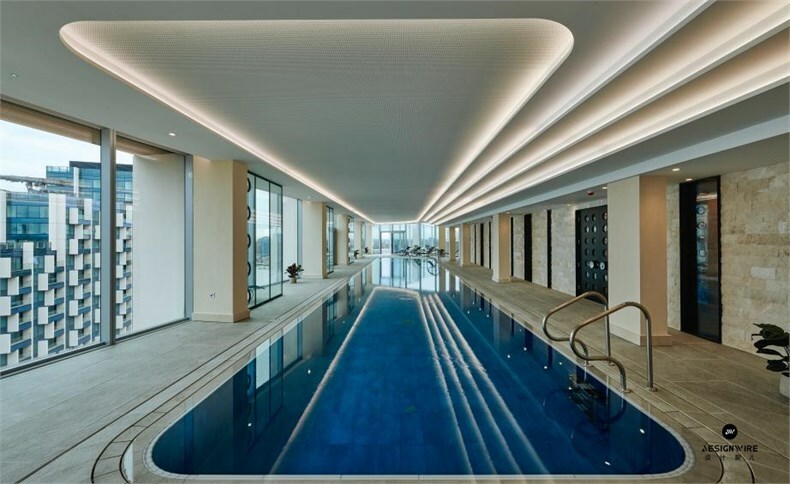 The pool area features a stepped ceiling that reflects the water’s outline and helps create a sense of space.